When you’re on a diet, a salad can seem like the perfect, healthy lunch or dinner, but this isn’t always the case. If you’re loading up your salads with these unhealthy options, you may be sabotaging your diet without even realizing it. Make a healthier salad by skipping these unhealthy additions. Opt for Non-Creamy Dressings– Creamy dressings are higher in calories and saturated fat. An Italian or a simple vinaigrette dressing is an excellent, non-creamy choice for a healthier salad. Don’t Use Too Much– Don’t use too much dressing. Rather than pouring from the bottle, you may want to measure your dressing so you stick to the allotted serving size. Topping a salad with crunchy bits of fried chicken can instantly turn a healthy salad into something with more fat and calories than a cheeseburger and fries! If you’re eating out, ask for grilled chicken or shrimp instead of fried, or load up your salad with healthy veggie toppings instead. Fresh fruits and veggies, beans, low fat cheeses, olives and more can make tasty, healthier salad toppings. Limit the amount of high-calorie toppings you use. Remember that a salad is only healthy when it is full of vegetables. Crispy chips, candied nuts, fried noodles, and croutons are tasty, but they are also high in calories and fat. If you’re going to use these tasty crunchies on your salad, make sure you’re careful about how much you use. Putting dried cranberries on your salad is almost the same as sprinkling on a few pieces of candy. Dried fruit is often packed with calories, easy to overeat, and contains added sugar. Before you add dried fruits to your salad, read the label. If you must use dried fruits, use them in moderation. Iceberg lettuce is crisp and refreshing, but it shouldn’t be the only lettuce you use. Darker greens are a healthier option for the base of your salad. Arugula, spinach, baby kale, chard, and deep green lettuces are more nutrient-dense than iceberg lettuce. Make your salads the healthy lunch option you want them to be by avoiding these common salad mistakes. 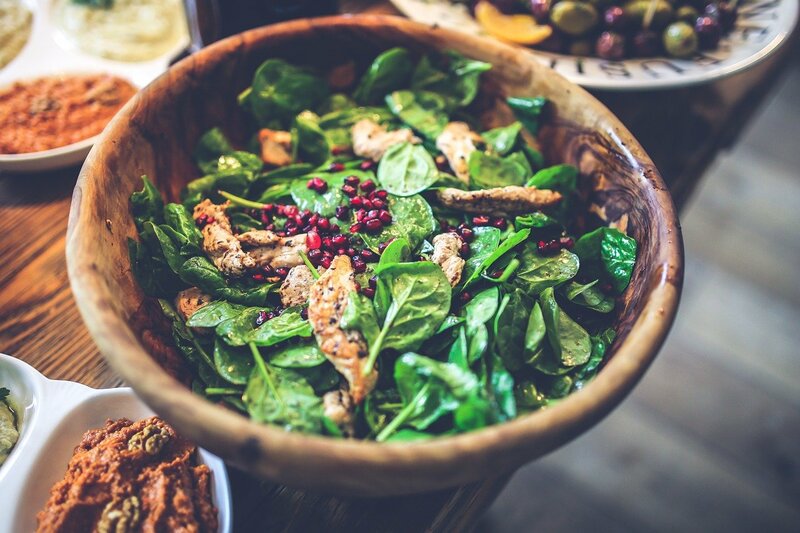 A salad done right can be an excellent addition to your weight loss diet. Call today for personalized advice through our medical weight loss programs.